For projects, shows, and how-tos for all ages, this crafts app has it all. CraftSmart – Art & Craft Videos has thousands of craft options to pick from for both adults and children. You can browse by category, age, and gender, so finding the right craft is easy. Find the ideal craft. The app has sections for shows, crochet, and craft supplies, but you can also view options by audience. Look through the various project ideas for kids, girls, boys, teens, women, and even left-handers. This makes finding the idea craft for you really simple. 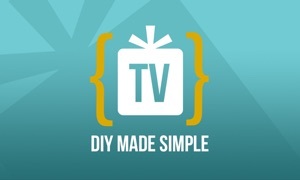 Offering so many projects to pick from, CraftSmart – Art & Craft Videos is a wonderful app for Apple TV. With everything from Play-Doh and puppets to lamps and home décor, you and your kids will have a great time choosing new crafts to create. The app even includes a specific section for crocheting that includes tutorials for left-handers. 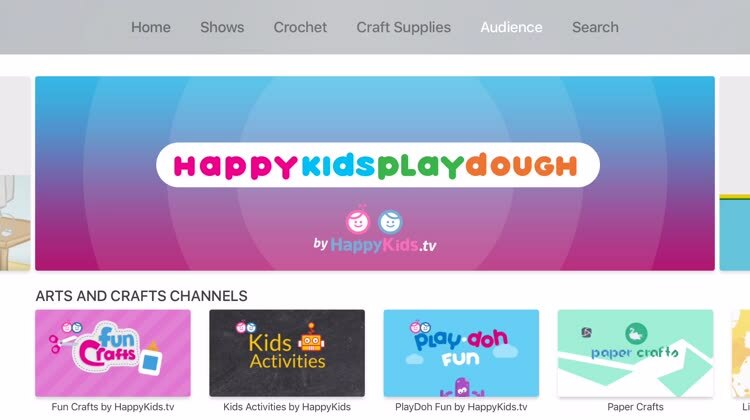 If you are looking for an Apple TV crafts app for yourself, your children, or both, then CraftSmart – Art & Craft Videos is the one for you. 1000s of new, interesting and easy to follow craft ideas for all ages: Holiday craft, Educational Craft, Seasonal craft, Decoration, Jewelry, Arts, Drawing, and more.